News - Stanton Architects, Inc. If a man is in despair. The Round Square in the U.K. is one of a number of buildings said to have been built to a circular plan so that there would be no corners for the Devil to hide in. It is now part of Gordonstoun School. Is it possible that the shape of a room affects our thinking? The editor Julie Beck writes in the Atlantic that, among Western cultures, people are apt to see the individual as separate from the environment. Move to a different house, yet you are still the same person. But in South Asian cultures, she writes, “home isn’t just where you are, it’s who you are.” There is little doubt that people impact their physical environment, living spaces included. But what of the reverse? Many people tend to want scientific evidence of any assertions (though it is seen as quite acceptable to ignore scientific evidence). But while there is no definitive answer to these questions, there is evidence of the ways that the physical dimensions of a space affects occupants. Ancient peoples, and some of their modern day descendants, built round structures; the yurt, for example. This shape can be advantageous in highly windy places, as the air flows around the structure. There can be other advantages as well in terms of thermodynamics, efficiency, and acoustics. Yet a discussion on the website Quora affirmed what anyone might guess, that square rooms and structures are preferred. This is especially true, said one thread, when there are several people, partly because of the round room’s magnification of acoustics! Other threads focused on the idea that square rooms are quick and easy to construct because of the linear nature of prevalent materials. They are also seen as accommodating furniture better than a round room would. Round or square, other aspects of dwelling space affect the intellect: The psychologist Joan Meyers-Levy found that people in low-ceilinged rooms do better at solving anagrams with words like “restricted,” while those in high-ceilinged rooms do better with words like “freedom.” Ceiling height influenced thinking, she found. In conclusion, there is what has been proven and then, far more extensive, there is what we know. In an interview with Dezeen Magazine, the Italian-British architect Richard Rogers related standing in the rain under an umbrella that a stranger had graciously shared with him outside Paris’s Pompidou Centre (le Centre Georges Pompidou in French). When Rogers told the woman that he had designed the building, she hit him on the head with the umbrella. The reaction expressed that of many Parisians to the architecture of the museum and multi-disciplinary cultural center, which wears its structure on the outside. The result of this design is flexibility in the uses to which the insides are put. Among other things, the Pompidou is known to house the largest collection of modern art in Europe. Its design, by Rogers in collaboration with the Italian architect-engineer Renzo Piano and architect Gianfranco Franchini, was selected in an architectural competition that had attracted 681 entries. While the Pompidou is considered high tech, Rogers cited the influence of the social changes of the 1960s on the design, particularly the French student and worker protests of 1968. The following year, French President Pompidou chose a site for the project, which was originally to be called the Centre Beaubourg, but was renamed following Pompidou’s death in office three years before the building was completed. The Pompidou opened in 1977 and has since become a favorite among tourists and Parisians alike. The Beatles told us we can’t buy it, and Johnny Lee has us looking for it in all the wrong places. Yet love makes the world go round, even the business world. Architect Carlo Scarpa from the late 1950s through the early 1970s renovated Castelvecchio Museum in Verona, Italy. 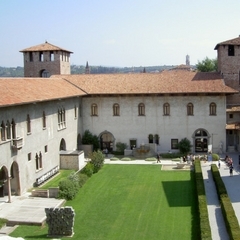 Located in northern Italy, the museum exhibits medieval, renaissance, and modern art. 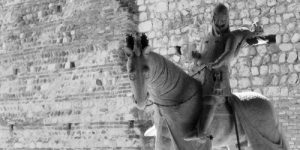 Castelvecchio means “old castle” in Italian, but it is so much more. The museum has been used in various ways: first as a medieval castle, then as a military post and now as a renowned museum and tourist attraction. 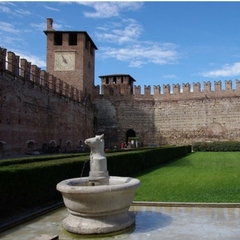 Cangrande II della Scala, Lord of Verona, constructed Castelvecchio in 1354 to protect citizens. The history is evident in the design: red brick walls and arches slope down toward the River Adigeís left bank, which served as an escape to the northern countryside if needed. Decades later, when Scarpa restored the castle, his design stayed true to its history. Working with museum director Licisco Magagnato, he built up the structure into 29 rooms of artwork. The architect’s designs unite concrete and masonry, as well as modern steel with the original brick. Building projects 4,000 years ago were delivered by architects in charge, aka “Master Builders,” who carried out all responsibility for building. From the 20th century, the legal world crafted a new design/bid/build project delivery. Fortunately, as we move into the 21st century, owners realize this “new” concept of design/build is NOT new at all. Today, educated and savvy owners opt to go with design/build project delivery. It is an absolute must for cost and time-conscious construction without design compromise. Operating a successful design/build business requires a person with a unique skill set-a rational and practical person who can be conscientious of design quality, construction methodology, and delivery deadlines, all at the same time. This person earns respect and confidence with their unquestionable reputation and deep knowledge of various building components and systems, and all aspects of the construction process. A reputable architect leading a design/build project is the best choice! 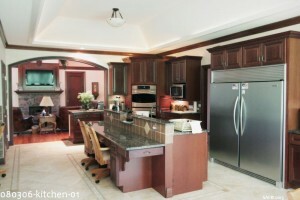 One Master Builder takes overall responsibility for project including design, bid, and construction. This is the best method for cost and time conscious construction without design compromise. 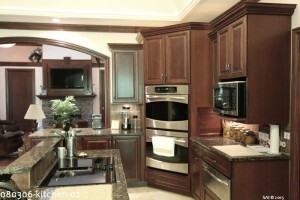 Owner is in charge of design, estimates, and construction. Multiple parties are involved inherently resulting in miscommunications, compromised design and construction budget overruns. Housing and health care professionals are abuzz about “aging in place.” The U.S. Center for Disease Control and Prevention defines aging in place as “the ability to live in one’s own home and community safely, independently, and comfortably regardless of age, income, or ability level.” Adapting to change gets harder as we age. People are living longer and many desire to stay in their homes and familiar environment as long as possible. Whether building a new home or renovating an existing one, plans can be made to allow for aging in place. The owners of this home pointed out some of their favorite accessibility features in the kitchen: full size freezer, double pull out trash can, chair height warming drawer/double oven, and a wide pantry with adjustable shelves. It is said that renovating a house to allow for the needs of mobility impaired persons will increase its property value by as much as 25%. These universal design costs will be minuscule if a need arises due to accident, health problems, or aging. Pavers have been used for centuries due to their flexibility and strength. Three main pavers to choose from are brick, stone, and concrete. Over time, however, they succumb to the aging effects of weather, dirt, weeds, stains, and shifting. Keep pavers from looking dull and faded by cleaning, weeding, re-jointing, and sealing. Sweep and gently hose pavers using care to avoid joints. Scrub stains with a wire brush using a mild masonry detergent. Heavy stains may need power washing. Pour equal amounts of boiling water and vinegar between bricks for weed control. Rejointing with polymeric sand will help keep pavers from shifting. Polymeric sand hardens when moist and also prevents weeds. Brush sand into joints on a 45° angle then lightly mist bricks. Pavers should be sealed once every three years and no more than a couple of times over their lifetime, any more than that will result in a film and discoloration. Choose a wet look or dry look sealer designed specifically for pavers. Don’t forget to cover delicate plants with plastic when treating pavers. Regular maintenance will prevent the need for replacing pavers for many years. A little tender loving care will enhance the look and structure of pavers. Are you interested in adding color to your yard this year? 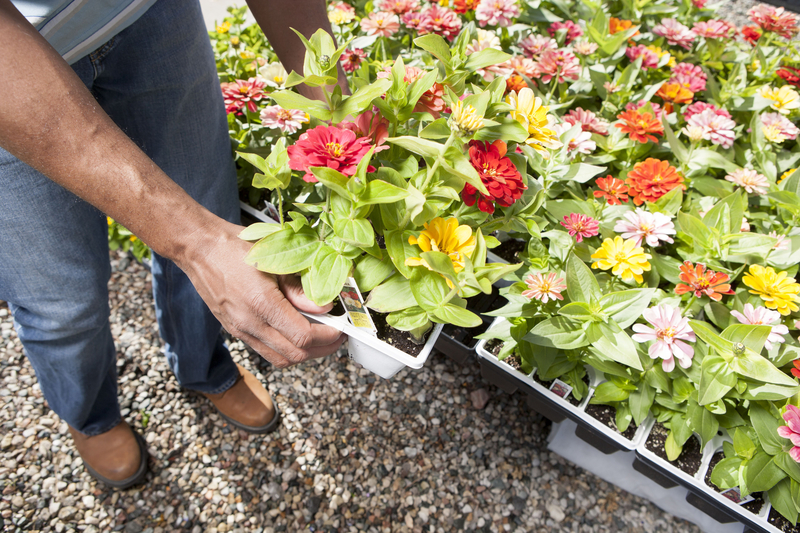 It’s time to start thinking about planting spring annuals. Below are a few helpful hints to make the process more successful. Start by taking a picture of each side of your home, standing far enough back to get a broad view. Print several color copies. Using markers or colored pencils, draw in areas where you want color. Use fine point tips to add fine textures and broad strokes to make coarse textures. Keep in mind large groupings of the same type of plant/flower versus a sparse mix of many colors throughout the yard. Lead the eye throughout the whole garden by repeating the same groupings in several places. Practice many designs on several sheets of copies until you are satisfied. Go outside and measure the designated areas noting sun and shade patterns throughout the day. When shopping, keep in mind textures, sizes, and colors, as well as what plants will thrive in your climate or hardiness zone. A mix of textures will add depth and visual interest to the garden. Planting only medium textures is not interesting to look at while planting too much contrast is overwhelming to the eye. Finely textured plants have small leaves and feel light and airy. An example is Baby’s Breath. It makes small spaces appear bigger. In contrast, coarse plantings have larger leaves or blossoms. They have a heavy tropical feel like Hostas. Used in masses, coarse textures make spaces feel smaller. Consider height and spacing of all plantings in the garden, including perennials. Varying heights are more interesting to look at and be careful not to plant taller plants in front of shorter ones. Some plants spread out quickly, others slowly. Make room for growth. Every color of the rainbow can be found but that doesn’t mean you should use all colors! Use two to three colors that look good together. Arrange them together in the store to see if you like it. Too much of the same color is boring while too much color contrast is overwhelming. With forethought and proper care, as well as hard work and patience, a glorious garden will surround and nurture you. Have fun with it and, remember, there’s no right or wrong and it’s not a permanent decision. Next year you can do something completely different! A home’s first impression gives an inside peek into its residents. Evaluating paint, landscaping, lighting, mailbox, and hardware every spring can help your home look neat and clean. 1. Fresh paint on the front door, trim, and exterior make a home look well cared for. Pick neutral colors coordinating with the neighborhood. Don’t be that “black sheep of the family” when it comes to the look of your house. 2. Landscaping should complement the home, not overpower it. A good design moves the eye through the entire yard using two to three color groupings and a good mix of textures and sizes. Use color throughout all three growing seasons. If neighbors use mulch, do the same. A new layering of dark mulch looks rich and fresh. 3. Professional lighting adds appeal. Replace house lights with fixtures matching the house style. Solar lights are an affordable and easy to install option for pathways and accent lighting. Uplight trees, downlight the house, or moonlight special areas. 4. Replace the mailbox or freshly paint a box in good condition. Do not add décor to the mailbox. 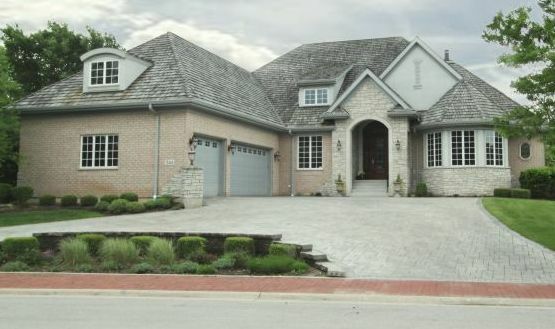 It should look well cared for but not distract from the beautiful home and yard. Make sure a box on a post stands straight. 5. Consider replacing the front door hardware. Install new, easy to see house numbers. Doorbells and knockers need to be in good working order. Steer clear of clutter, purchase a cheerful new welcome mat, pressure wash oil stains, moss, and debris from the driveway and sidewalks, and make sure all window coverings are a simple, uniform white color. Now that everything’s taken care of, sit back and enjoy the compliments! Call Stanton Architects, Inc. for a home façade makeover this spring!